The Sunday Times alleges rogue SAS soldiers conducted what amounts to assassinations in Helmand Province. I’m not in the least surprised. One of their reporters, George Arbuthnott has informed me that an incident I wrote about in SPIN ZHIRA corroborates some of their own findings with regards to one such alleged assassination in 2012. This took place in Rahim Kalay, a small, poppy dependent rural community east of Gereshk where the British had established a patrol base. At the time the village was on the front line of the International Security Assistance Force (ISAF) counter-insurgency, making it a very dangerous and violent place to live. Abandoned by the Government of the Islamic Republic of Afghanistan shortly after the British withdrawal from Helmand in 2014, it now falls under Taliban shadow governance. Ironically, this makes it a much safer and less violent place to live. The Sunday Times investigation has revealed that the Ministry of Defence are using the closure of the bogus Iraq Historic Allegations Team (IHAT) ​as an opportunity to​ shut down a completely separate Royal Military Police (RMP) investigation into ​the conduct of SAS kill/capture missions. Even in war, soldiers are not above the law and it seemed to me that, all too often in Afghanistan, Special Forces were not subject to the oversight of the military chain of command or the law of armed conflict. “It was an extraordinary tale but not an improbable one. Night raids were commonplace in Afghanistan and Haji was not the first person, nor would he be the last, to receive a visitation from Special Operations Forces in the middle of the night. As with everything in the secretive world of SOF it was difficult to know precise details. But a US military source told researchers for the Open Society Foundation in April 2011 that as many as 40 raids were being carried out every night. Jon Nagel, a former member of Petreus’ staff described them as “an industrial strength counter-terrorism killing machine”. This sounded most impressive but Mr Nagel appeared to be fighting the wrong war. We were supposed to be conducting a counter-insurgency, not a counter-terrorism campaign. Perhaps I was splitting hairs but Mr Nagel really should have known the difference because his own boss had re-written the counter-insurgency manual to great acclaim and fanfare. There was no mention of an industrial strength killing machine in any of the manual’s 242 pages. Unsurprisingly night raids singularly failed to reduce insurgent influence over the population or to demonstrate the legitimacy of our cause. In fact there was plenty to suggest that they were having the directly opposite effect. Towards the end of our tour a night raid in Rahim, conducted by a joint TF196 and Afghan Special Forces team, resulted in three brothers being gunned down in their compound in front of their wives and children. Again I found myself in conflict with British Tier One Special Forces. TF196 insisted the men were insurgents, but this claim seemed highly improbable to me. The brothers’ compound was just a short distance from one of our patrol bases and any suspicious activity would almost certainly have come to our attention. Our own J2 Shop had nothing on the men. The general consensus from our analysts was that the SAS, while ruthlessly efficient as always, had directed their special talents against the wrong targets. When I challenged a TF196 spokesman on their version of events he played their top secret joker once more. Speaking to me by phone from an undisclosed location he said the information was classified. As a known Taliban‑loving apologist and mere part‑time soldier I could not be trusted and had no authority to contradict elite tier one special forces. A short while later I received another telephone call from the charming colonel in Task Force Helmand ordering me to drop my line of enquiry. Although he remained amiable I detected a hardening in his tone. 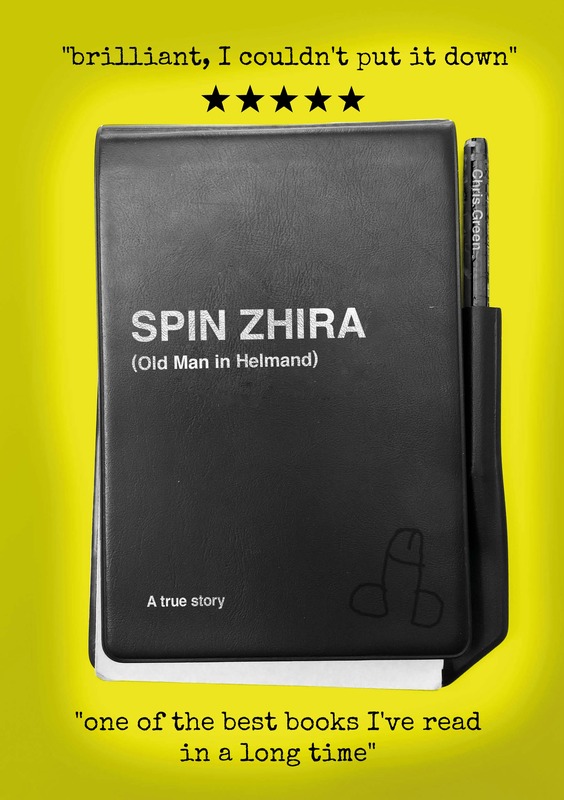 The TFH top brass had silenced me, but the Rahim spin zhiras remained determinedly voluble on the subject. They steadfastly maintained the brothers’ innocence and were outraged at the brutal executions in front of the victims’ families. Emissaries were despatched to the patrol base threatening retaliation and demanding an apology and blood money for the relatives. The PB Commander was bitterly angry that the raid had gone ahead without his knowledge, destroying the work his own men had done over the previous six months to marginalise the Taliban and protect the population from insurgent violence.